Digestive health supplements have become very popular because of the variety of different health benefits they provide. By balancing out the gastrointestinal system, consumers that utilize digestive health supplements notice a boost in energy, more restful sleep, better blood circulation, resolved constipation, and improved metabolism. Optimal digestive health is important general well-being, good immunity, and systemic health. Digestive health supplements will not only treat digestive issues, but maintain general digestive health, making them a popular choice among Americans. In recent years, there has been an increase in awareness of digestive health supplements, contributing to its staggering growth. Consumer education and increased promotional efforts have contributed to an increase in consumer awareness. As more well-researched and effective digestive health supplements enter the market, sales of these products are expected to rise exponentially. An estimated 75 to 100 million Americans suffer from some sort of digestive issue. Common digestive ailments include constipation, diarrhea, abdominal bloating and pain, loss of appetite, and nausea. Stress, malabsorption, bacteria overgrowth, or poor diet can contribute to digestive health problems. Digestive health supplements, such as prebiotics, probiotics and digestive enzymes are the most common supplements that consumers seek to remedy their issues. BioThrive Sciences manufactures the highest quality digestive health supplements. Our private label supplement manufacturing facility is FDA-registered and complies with current good manufacturing practices (GMP) guidelines. We are leaders in the production of probiotic, prebiotic, and dietary fiber, ensuring that our products are safe, effective, and beneficial to the consumer. 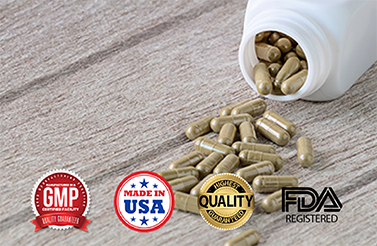 Specializing in private label and contract manufacturing of supplements for over 20 years, BioThrive Sciences is the premiere digestive health supplement manufacturer. With private label digestive health supplements from BioThrive Sciences, we are confident that your consumers will love the way they look and feel. We encourage you to contact us at 844-263-3657 to learn more about our comprehensive services, quality products, and how we can help you create a line of digestive health supplements.